React Presents wrapped up yet another Chicago summer with North Coast Music Festival in Union Park. Stacked with both big names and local gems from a variety of genres, the 3-day fest had something for every type of listener. In addition to the good sounds, fans had the chance to experience the cuisine, art and culture of the Windy City. For me, Friday kicked off with Edamame on the Coast Stage. Coming from the suburbs of Chicago, this producer has swiftly climbed the ranks and has garnered support from similar producers like Emancipator and Pretty Lights. A few other highlights of day one were Autograf, Bonobo and of course, Deadmau5 b2b Eric Prydz. From the rail to the way back, the Skyline Stage was completely packed. The legends took turns manning the table, dropping sounds that most of us had never heard from either. The set was definitely techno fueled with progressive transitions, a stark contrast to “Ghosts N Stuff” and “Everyday” that casual fans may have anticipated. Combined with intense lighting and lasers, the performance went way above and beyond my expectations. Saturday took off on a high note with Chicago producers Hi Five and Who Cares in the Bass DJ Tent. 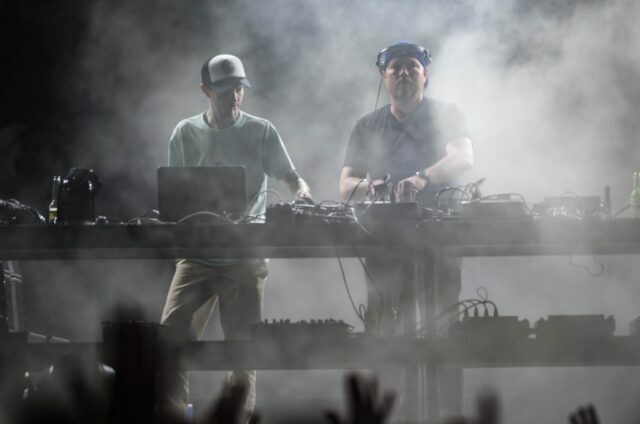 They brought it all to the table with their usual bass house sound, but adapted to the bass music context and threw some dubstep, trap and drum and bass into the mix. The two dropped about half a dozen unreleased collabs throughout the set. Right after, I found myself 15 minutes deep into the groovalicious Manic Focus set. As per usual, he brought out plenty of friends including the one and only Pretty Lights, who dropped some rhymes at the end. Other sets that I’ve continued to relive in my head are the tail end of Don Diablo, STS9 and Carnage. The only downfall of day two was the dreaded storm that rolled through, but that didn’t stop the free spirits from dancing in the rain to Joe Russo’s Almost Dead. All good things must come to an end. Sunday rolled around with beautiful weather and another roster of all-stars. Part of the fun at festivals is new experiences so I made sure to add a little bit of everything into my schedule. Elephante got me moving for the day and I didn’t stop with the help of Hippie Sabotage, Destructo, Ganja White Night, Primus and Tipper. To say it felt good to hit the sheets at the end of the night would be a major understatement. In the last few years of the event, the lineups have seemed to appeal most to EDM fans. 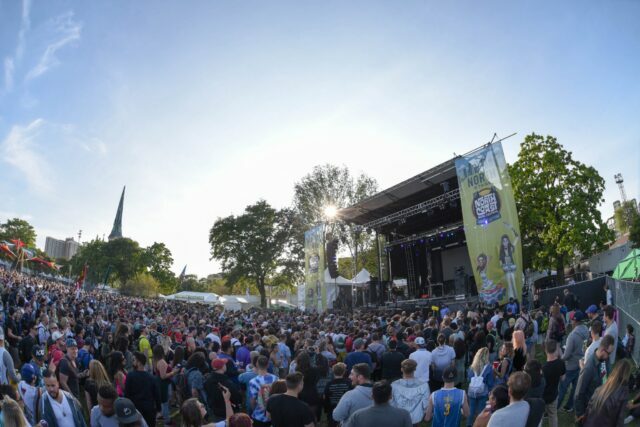 Just as many of the larger festivals have blended genres together, NCMF has followed suit with additions like hip-hop artists and jam bands. I definitely find this to be one of the top things that other fans and myself find appealing about this festival. In addition to these exciting, diverse lineups, there’s even more to love. This festival brings Chicago culture to the forefront with cuisine, vendors and art in the friendly Near West Side neighborhood. The Living Graffiti Gallery pays homage to talented artists with a passion for street art and gives attendees the opportunity to see the creation before their eyes.The Silent Disco brings people together to express themselves and connect through music and dance. It’s always bittersweet when the long weekend concludes. As somewhat of a veteran, I’ve grown to love North Coast more each year. Chicago has so much to offer in terms of live music but this event continues to rank very high on my list each festival season.